In today’s digital age, it can be a challenge for medical professionals to understand how to best take advantage of online marketing trends. The good news is that when it comes to online marketing, what you know about old-school marketing practices stays true: people trust people, and community reputation is incredibly influential when it comes to attracting new clients and retaining old patients. So, how do you translate this knowledge into marketing methods? 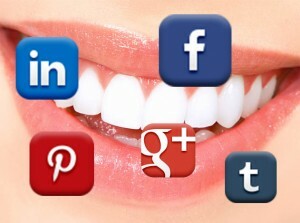 Here are some of the top ways to market your practice and get results in today’s digital ways. Make sure your website and social media channels are optimized for 2014, as your website is the first impression internet surfers will have of your practice so you want to make sure it reflects professionalism and builds your practice’s credibility. No matter how much effort you put into your marketing, if customers visit your website and notice it is lacking information, out-of-date, or doesn’t appear to be professional. they will likely create subconscious associations with your practice. It’s vital that you look your best both online and off. Don’t be afraid to invest in a website re-design if yours is stuck back in the 1990’s – it is worth it to set you apart from the crowd and keep your online image up to date. You know that word-of-mouth advertising is one of the most influential ways to gain new clients. Well, guess what? Online marketing is perfectly suited to word-of-mouth advertising because information spreads like wildfire online, and it’s easy for people to access many different reviews in a short amount of time. According to Compete study, 34 percent of patients research treatments and practices based on the opinions of friends and family, and 88 percent note that search engines and other websites are their primary sources of medical treatment information. Encourage current satisfied patients to share their experience online, and re-post positive comments on your social media channels to show new clients that you have real, live results with your patients. Always make sure to stay up to date with your social media channels so you can thank patients who leave reviews promptly and reach out to new possible patients. The internet offers you another chance to demonstrate how much you care about your clients, so take advantage of it and make sure not to leave customer questions unanswered or be late when getting back to inquiries. Building your local results is an important factor to see tangible results from online marketing. If you live in Walnut Creek, California, you want to draw in new patients who live in the area. Medical professionals have an advantage when it comes to their online presence because possible clients often search very specifically for the specialist they need in their specific region. This means that you can optimize your results so people can find you when they are searching for a local dentist or orthodontist. It’s important to make sure your office location is listed across search engines, and encourage location check-ins by offering an incentive to clients who “check in” to show their support for you. 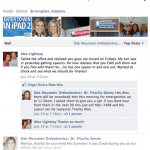 You can also use co-branded, localized ads that include the national brands your practice supports both online and off to bring clients interested in specific name-brand services to your clinic. Online marketing is comprehensive and includes a variety of mediums, including video searches, social media sites, online forum discussions, mobile and display ads, and more. It can often seem overwhelming when you see how many different options there are for online marketing, so streamline your approach and pick a few channels to excel in. urn to social media to start one-to-one conversations with them. There are many ways to build up your practice’s online presence; you just have to pick the channels that best fit your practice. Marketing your practice in today’s digital age can seem daunting to many medical professionals, but it doesn’t have to be. If you focus on your current marketing strategies that build your reputation and community, and integrate these into online mediums, it’s very simple to see results through online marketing.